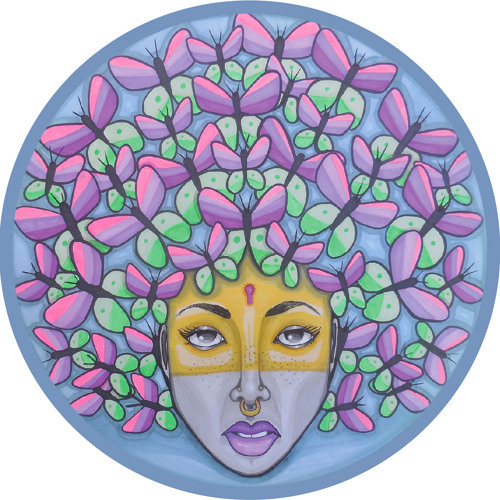 Luca C & Brigante make a welcomed first appearance on the unstoppable Hot Creations as they team up once again with the esteemed Róisín Murphy, after their massive ‘Flash Of Light’ collaboration released back in 2012. Having had a break to work on their solo projects, here the duo conjure up one of their best releases to date. ‘Invisions’ is a wholly refreshing Italo House dream with old school melodic synths riding under Róisín’s seamless vocal. The release also features a ‘Club Version’ adding warm, rounded chimes and an infectious bassline. Hot Creations boss Jamie Jones delivers his ‘Submerged Remix’, deep and dark, destined for the earlier hours of the morning. The highly respected Luke Solomon also makes his first appearance on the label, rounding off the package with his ‘Body Dub’ version, directed straight at the dancefloor with a prominent hypnotic loop, driving hats and a distinctive, abstract melody. "Rose Quartz is a wonderful sleep crystal for adults and children, providing beautiful dreams as well as preventing nightmares or night terrors. It also helps children to not be afraid of the dark. " @deejaylaurenzo: it is deliberately referenced. dance records have a long history of nicking riffs from one another. The title explains why it was nicked. I think the structure was deliiberately referenced . "Rose" is another version of Roisin's name. "Quartz" crystals are used to keep time. This song is lyrically about the frustration of being temporally dislocated in ones mind. @atrinhz: Not the "melody" but the riff structure. A melody is protected as a specific series of lead notes , riffs and chords are not. @ricardo_taveira: No, "Adham Zahran, Hisham Zahran - Rose Quartz. People tend to copy others and take all credit for it. This is exactly like Felon - Isla. You guys copied it? @papychunty: it's ironic that you cite the lable that had its biggest hit with "benediction" as not being into anthems...... are you for real ? @papychunty: was listening to all that years ago. anthems are for anyone united by them. period.